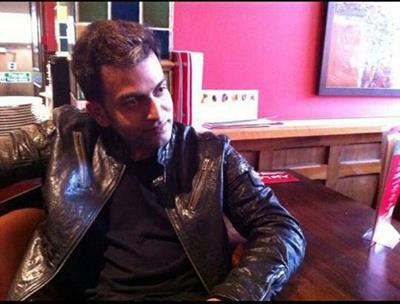 Oru Cinema Kadha malayalam movie directed by Sugeeth will have Prithviraj and Vineeth Sreenivasan in lead. After the grand success of Ordinary, Sugeeth is back in business with Oru Cinema Kadha. After making Kunchako Boban and Biju Menon lead heroes in his previous two movies, Sugeeth is teaming up with Prithviraj for the next. Set at the backdrops of Mumbai, this movie is produced by Shaheer Sait under Kurban Films. After shouldering Ordinary and Three Dots, director Sugeeth is back in action with his third project. After making Kunchako Boban and Biju Menon lead heroes in his previous two movies, Sugeeth is teaming up with Prithviraj and Vineeth Sreenivasan for his next. Set at the backdrops of Mumbai, this movie is produced by Shaheer Sait under Kurban Films. Sugeeth who had been a long associate of ace director Kamal from Gramaphone to Aagathan, debuted with 'Ordinary' which traced the life of a group of people living in the village of Gavi. With Biju Menon and Kunchacko Boban in lead, the movie told the story of their relationship with the villagers. The movie which starred Asif Ali, Ann Augustin, Shritha and Vaigha was a blockbuster at the box office. The songs set by Vidyasagar and the cinematography of Faisal Ali got well appreciation. After the grand success of 'Ordinary', Sugeeth helmed his second venture 'Three Dots' with Kunchacko Boban, Biju Mennon and Prathap Pothen in lead which was produced under his Ordinary Films banner. The movie remained an average entertainer as it could not offer anything special to the viewers. Prithviraj and Vineeth Sreenivasan would be joining together for the first time with 'Oru Cinemakadha'. Even though Vineeth Sreenivasan is keeping high interest in the field of direction, he will also be making his presence onscreen with a couple of movies. Vineeth is currently busy with his third directorial venture 'Thira' starring Dyan Sreenivasan and Shobana in lead. With Sugeeth, Prithviraj and Vineeth coming together, much expectation is on the trio. As the director is aware about the taste of the audience, 'Oru Cinemakadha' will be a complete entertainer creamed with all elements which will keep them intact. With the full cast and other details to be unveiled soon, this movie would start rolling at the end of the year.